A big pile of something is about to hit a giant fan somewhere, and there is absolutely nothing you or I can do about it. Way back in 2012, the Center for Biological Diversity (CBD) filed a petition with the National Oceanic and Atmospheric Association (NOAA) to protect the Amphiprion percula clownfish and seven other members of the Pomacentridae family of reef fish under the Endangered Species Act. 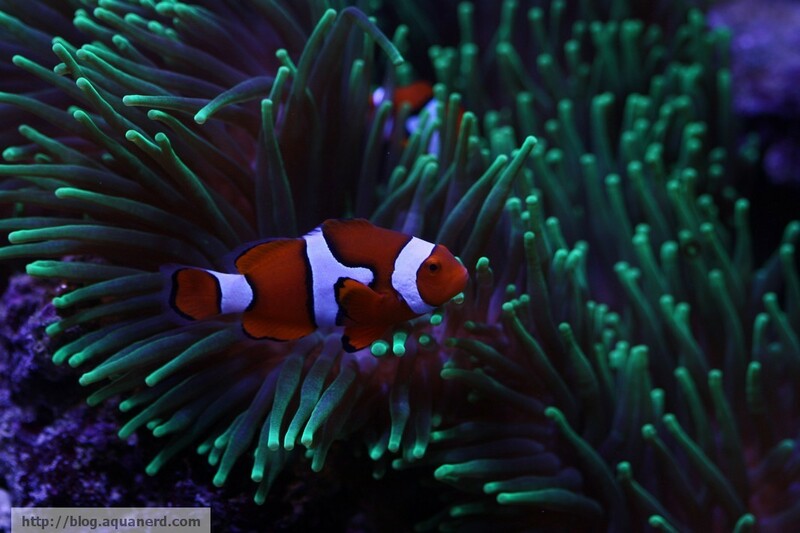 Now, according to one of Ret Talbot’s pieces covering the *real issues of the aquarium hobby, NOAA’s National Marine Fisheries Service (NMFS) is proceeding forward with their review of the clownfish to see if they actually require protection. And believe it or not, but the aquarium trade has nothing to do with this one. Despite the aquarium industry generally getting at least some of the blame for a species on the brink, the NMFS isn’t blaming overfishing from the trade as they don’t have the data to actually show that the hobby has any significant role in the potential decline of percula clownfish or any of the other fish species getting reviewed. Instead, the evidence is pointing squarely at anthropological issues like global warming, eutrophication, and ocean acidification. And surprisingly, this has nothing to do with the clownfish, but their disappearing homes, the sea anemones. As the human impact on the ocean becomes more significant, the suffering of animals is becoming more apparent. Anemones, especially, are affected by these impacts as they are very sensitive creatures. And being the natural home of clownfish and several other species, their role is key in the development and longevity of fish populations. So, it’s not a total surprise that the disappearance (or at least potential disappearance) of the anemones is sparking a debate as to whether or not their inhabitants are also at a significant risk. So, I’ll circle back to my opening statement. There is nothing we can do about this. We can’t argue that the abundance of captive-bred clownfish proves how little an impact we have on wild populations. We can’t argue that we do more for clownfish by raising awareness. We literally cannot do a thing, well, with the exception of reversing the way we treat our oceans and the rest of this planet. That isn’t a soap box I’ll hop onto for now, but the key thing in all of this is that sometimes things happen out of our control and we’ll just have to deal with them. If the clownfish is listed under the ESA, then it will be gone from this hobby and it will be just **another corner piece of the industry that has been yanked out from underneath our feet. *This comment is not meant to be sarcastic in any way. I know sometimes it is easy to place inflection on words within a blog post, and sometimes they are meant to be read a certain way. In this case, however, I’m being totally honest in that Ret is the one and only source in the hobby that covers the real issues that affect each and every one of us. He’s the frontline reporter dealing with legitimate issues, not some fancy bell or whistle on a new LED product. **The CBD has also petitioned for numerous coral species to be listed under the ESA, and every day the aquarium trade faces new challenges that, like the clownfish, are out of our control.